Is faith that p compatible with disbelief that p? I argue that it is. 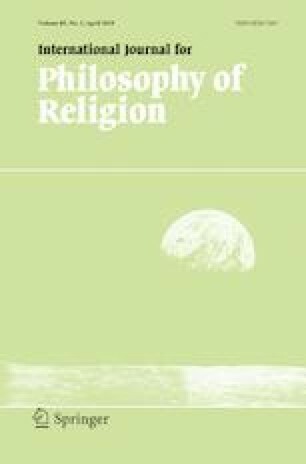 After surveying some recent literature on the compatibility of propositional (so-called faith-that) and non-propositional (faith-in) forms of faith with the lack of belief, I take the next step and offer several arguments for the thesis that both these forms of faith are also compatible, in certain cases, with outright disbelief. This is contrary to the views of some significant recent commentators on propositional faith, including Robert Audi and Daniel Howard-Snyder. The primary argument revolves around the possibility of maintaining a single faith through drastic changes in cognitive attitude. I argue that once we allow that propositional faith is compatible with weaker cognitive attitudes than belief, such as acceptance or assent, there is prima facie reason to consider propositional faith as sometimes compatible with disbelief. I then consider objections and offer some final reflections on the significance of the thesis. Thanks to Michael Wreen, Noel Adams, Stanley Harrison, Nicholas Oschman, Brett Yardley, Alexander Bozzo, Joshua Mugg, and an anonymous reviewer for helpful comments on previous drafts. I also benefited from discussion of these ideas with those present at the “Perspectives on Faith” graduate conference at Boston College in Spring 2018, where I presented a previous draft. Thanks to those in attendance, especially Daniel Howard-Snyder, Daniel McKaughan, and Elizabeth Jackson. Schwitzgebel, E. (2015). Belief. In: Zalta, E. N. (ed.) The Stanford encyclopedia of philosophy. https://plato.stanford.edu/archives/sum2015/entries/belief/. Accessed October 6, 2018.